Outrageous Disrespect! 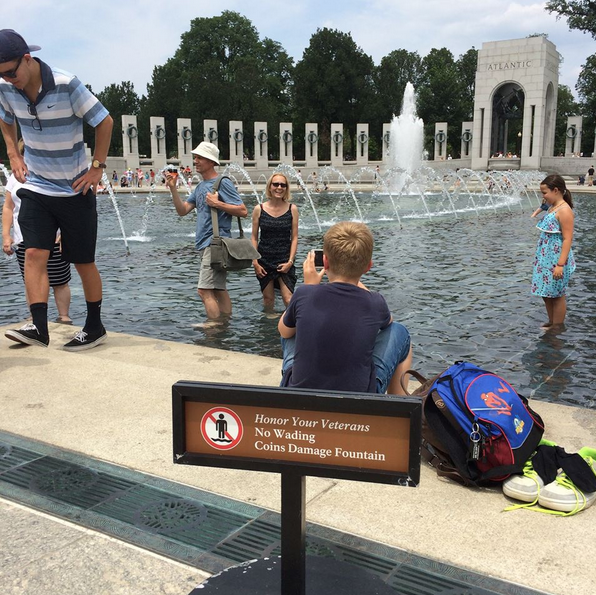 (PICTURES) 100 People Wade Into WW2 Memorial Reflecting Pool! The World War II memorial in Washington, D.C. on the National Mall is one of the most visited and revered monuments in America. It honors all WW2 veterans that died in the war, over 400,000 Americans from every state. Apparently some Americans don’t feel the need to pay attention, show appreciation or respect for this monument. The below images have gone viral with the offending family putting out a statement. Over 100 people were seen in the monument’s reflecting pool! This is disgusting. Honor Flight even chimed in with a Facebook post which is also below. What is your reaction to this? Tell us in the comments below! On the double!